The year is 1907. A mammoth tornado passing through Princeton, Mississippi, takes away Jake MacGregor's parents and their home, his beloved uncle, and his sister's home. He inherits a mercantile store in Taylorsburg, Mississippi, and an underdeveloped farm nearby. With his hopes of attending the new school of pharmacy scheduled to open at Ole Miss dashed, how can Jake overcome his frustration? Three years prior, a new railroad, which bypassed old Taylorsburg, caused the town to dry up and move five miles to the southwest, where the railroad crossed the Hastabucha River. Caroline Clemons, a teacher in the lower elementary grades, has her dream fulfilled - a new school constructed in the new town. But in the year 1907, Caroline receives a wound that refuses to heal. Will she have enough resilience to embrace life? Caroline suffers hideous attacks on her physical and emotional integrity. At the expense of losing all that can bring her happiness, she guards her family's secrets. Social issues of racial discord, abuse, inadequate education, and prohibition dominate the scene of Mississippi in the early 1900s. Come shop at the mercantile and share supper at the Covington Hotel dining room. Become acquainted with extraordinary people living in a troubled time. Experience their fear, courage, pain, and simple joys. Discover how it feels when prayer and laughter are the only effective coping mechanisms. Yes! !The heroine of the story, Caroline, takes you to the brink of frustration just before you find relief. You gain an understanding of the love Caroline has for sweet, dear Rachel, one of her mothers, and gain insight into how many southern children during this era were actually raised. Brother George’s ministry to Jake grows into a strong bond that envelops the story. What other book might you compare Secret Promise to and why? 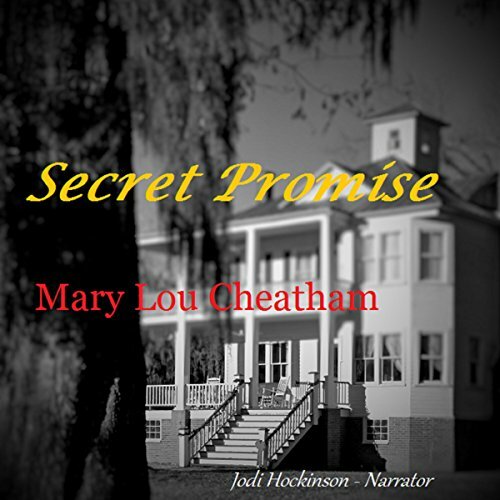 If you enjoyed reading The Help by Kathryn Stockett, you will especially enjoy reading Secret Promise as Mary Lou Cheatham draws from the experiences of her youth growing up in southern Mississippi. What about Jodi Hockinson’s performance did you like? Jodi gave a magnificent performance. It’s amazing how much our world has changed in just a hundred years. The wording, characters, everyday life, and technology are accurate to the time period. Southern Mississippi has gone through many changes, and this book is a snapshot into a tumultuous time period.